Huawei’s new smartphone has a massive 5.9in screen. But just how big do you really want your smartphone to be? Phablets – smartphones with screen sizes over 5.5in – have become more and more popular, showing a trend migration from their Asian origins to the US and Europe. Even Apple, famous for smaller smartphones, launched a phablet in 2014 with the iPhone 6 Plus. But few phablets have stretched their screens beyond 5.7in. 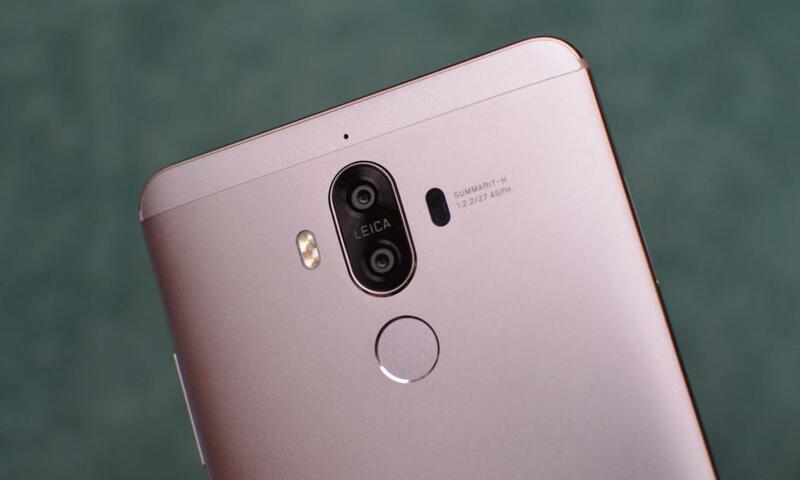 The new €699 (£621) Huawei Mate 9 has a 5.9in full HD display, dual cameras on the back, is 7.9mm thick and runs the company’s latest version of its customised Android 7.0 Nougat called Emotion UI 5. It also has Huawei’s latest processor, which the company claims is 20% more powerful than its previous generation and more powerful in multi-core operations than Apple, Samsung or Qualcomm’s latest processors. But the question remains whether buyers in the US and Europe want such a large screen. Previous iterations of the Mate line have not been sold en masse in stores, meaning the Mate 9 is the first of Huawei’s super-sized phablets to officially roll out in the UK. With the failure of Samsung’s Note 7, which was expected to be the big seller in the phablet category, Huawei and others have an opportunity to fill the gap. 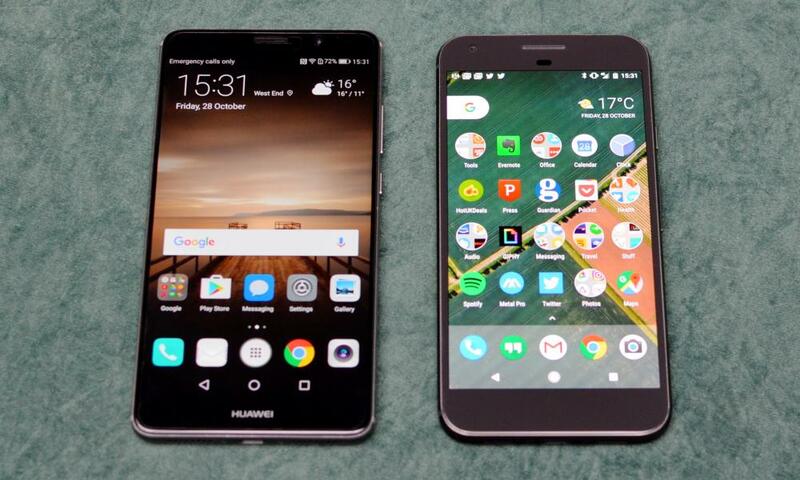 While others have concentrated on the smaller end of the phablet scale, with Google’s Pixel XL having a 5.5in screen, Huawei has attempted to address poor battery life and the slowing down of phones over time. To do that, the Mate 9 has a large 4,000mAh battery that’s about 500mAh larger than most mainstream phablets, including the Pixel XL, along with a learning-based system, which runs locally on the phone and detects usage patterns, preparing apps that are normally used at certain times of the day to launch faster without impacting battery life or performance. 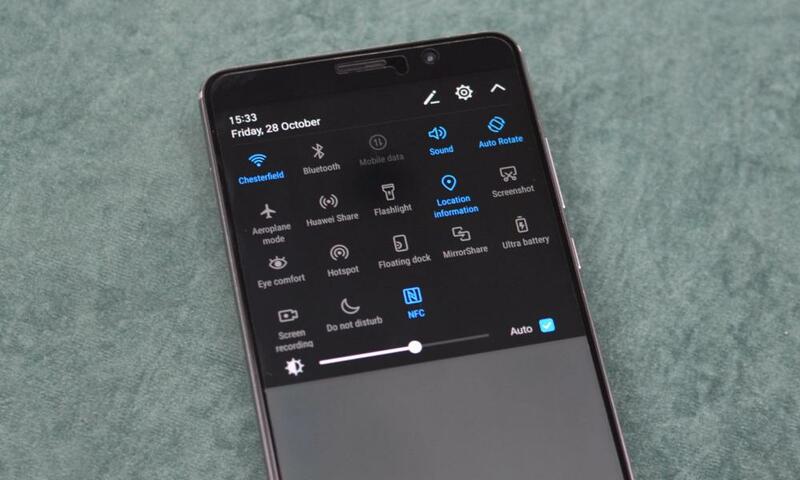 Huawei claims the system will also be able to run maintenance routines overnight, clear out the cruft and keep the phone running like new two years down the line. Compared with previous versions of the company’s software, it is expected to run 80% faster after a year. The Mate 9’s large battery also has Huawei’s new fast-charging system, which like OnePlus’s Dash Charge, moves some of the electronics required to safely charge a battery at high voltage into the charger. The company claims that the new charge system will be able to reach 58% battery capacity in 30 minutes, with a full charge in 90 minutes. “Battery management research and development is performed in house, and given recent developments we’ve upped research and development spend to make sure nothing similar can happen. We spend a year qualifying and testing components such as batteries both internally and externally before going on sale,” said Ed Gemmell, Huawei’s consumer business group director of communications. Tablet sales, along with PC sales, are shrinking, as more people use their smartphone as their primary computing device. But whether European and US consumers will take to such a large smartphone remains to be seen. A limited edition Mate 9 Porsche Design variant, with a smaller 5.5in quad HD curved screen and similar specifications will also be available in the UK and EU costing €1,395 (£1,238), but not in the US.